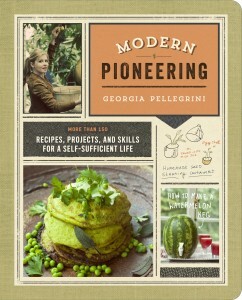 Here I am with another homemade holiday gift idea! On a scale of 1 to 10, how far along are you with your Christmas shopping? 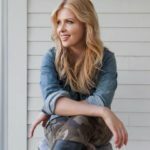 I have a little poll on my sidebar that you can take. I’m about 50%… it’s a Christmas miracle really, since I usually am down to the wire. 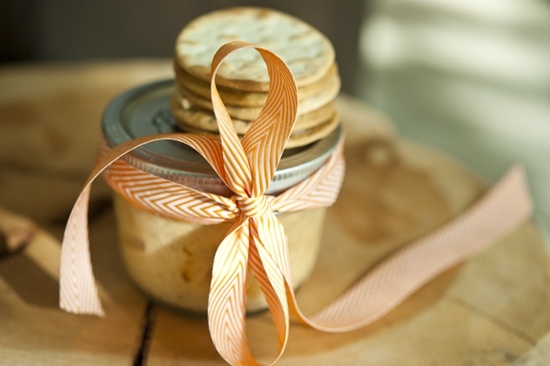 Here is a another fun homemade gift idea that you can make and give away or use at a party. And it is ingredients that most people have handy already. 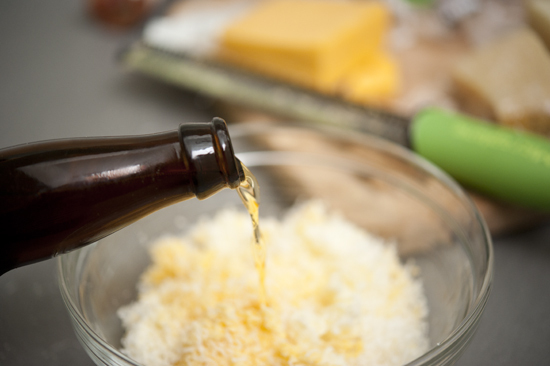 You’ll need: cheese scraps in various flavors (a good mix of sharp and mild), cayenne pepper, ground pepper, smoked paprika, cinnamon, butter, good beer, Worcestershire, and dry mustard. 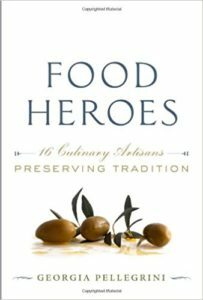 If you want to store it for more than a week you’ll need ghee or homemade clarified butter (this consists of slowly melting butter in a saucepan until the milk fat and water separates from the butterfat and you carefully strain them apart and use just the butterfat). 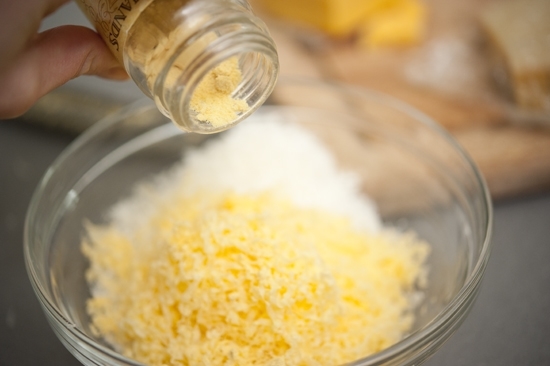 To get started, you’ll grate your cheese into a bowl. And the beer. Take a sip to make sure it’s good. Give it a stir until well incorporated. Now let it sit at room temperature for several hours until everything becomes soft. If the cheese is already very soft you won’t need as much time. Hard cheeses may take longer. Into a blender add the cheese mixture along with a nice hunk of soft butter. Give it a mix until smooth and creamy. Then add the Worcestershire, smoked paprika, cayenne, ground pepper, cinnamon and anything else your heart desires. Blend it again and taste and adjust the seasonings to your liking. Just remember that it is supposed to taste assertive… imagine yourself in a British pub somewhere in Northern England where it is rainy and windy and you want something comforting and intriguing. 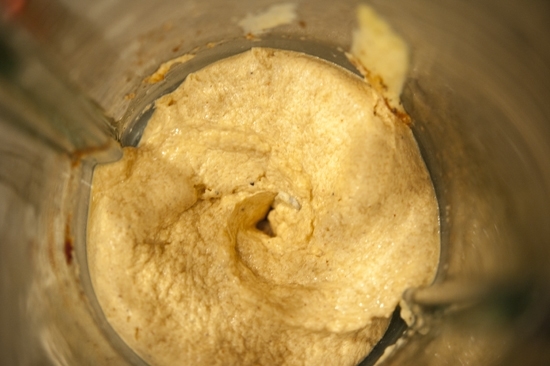 You’ll pack this mixture into a small jar, pressing on it with the back of a spoon to eliminate any air bubbles. Then you’ll cover it and store it in the refrigerator for up to a week. 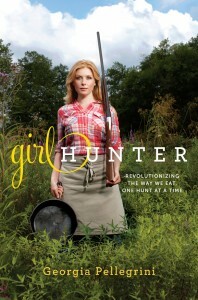 Now to preserve it beyond a week you’ll need some ghee or you can make your own clarified butter. Simply melt it in the microwave and pour it over the top. Once refrigerated it will look like this. Let it come to room temperature before you serve it with some crackers or toast. It’s delicious. Please give this to me for Christmas. 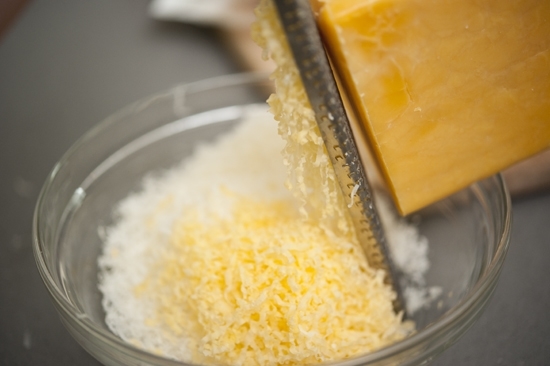 Grate or chop the cheese into a fine consistency. Place in a bowl and add the mustard and beer. Let sit at room temperature for several hours until the cheese softens. 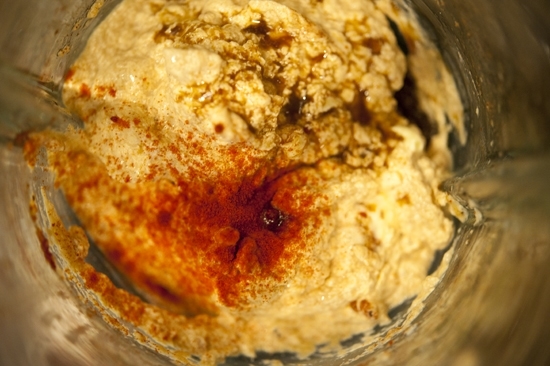 Add the mixture to a food processor along with the soft butter, Worcestershire, cinnamon, smoked paprika, pepper, and cayenne. The texture should be smooth and the flavor assertive. Adjust the seasoning to your tastes. Pack the mixture into a small glass mason jar, making sure to press down with the back of a spoon to eliminate any air bubbles. Store in the refrigerator until hard. 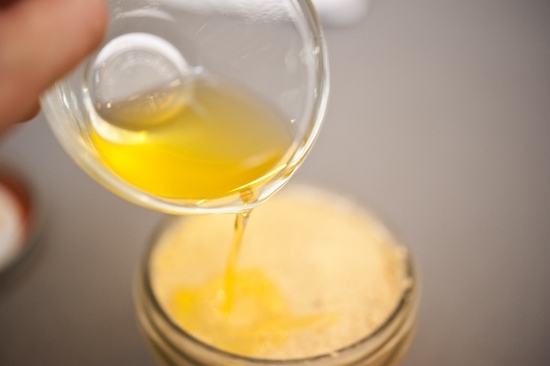 To store it beyond a week, melt 2 tablespoons of ghee or clarified butter in a small bowl and pour it over the top of the jar. Refrigerate until hardened. This will help preserve it. 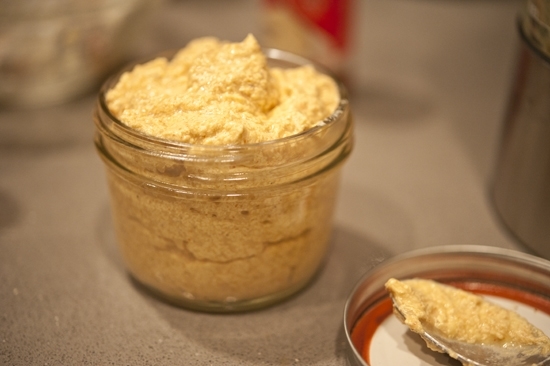 To serve, let come to room temperature so that it has a spreadable consistency. I am a cheese lover. It is always nice to have cheese, even if it comes as a gift. I would love to get such a gift. I loved it so much. I’ll keep it noted in my diary as well. Who knows I might end up sending such a gift to someone! Thanks for sharing this simple and nice recipe. 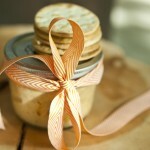 I made some potted cheese for myself last Christmas using sherry. 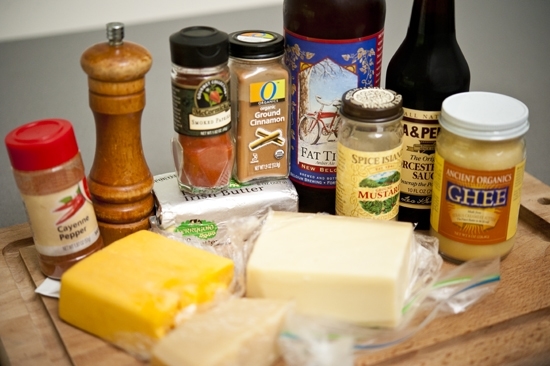 This recipe looks very good … Will try it with beer! Let us know how it goes! It’s deeelish. 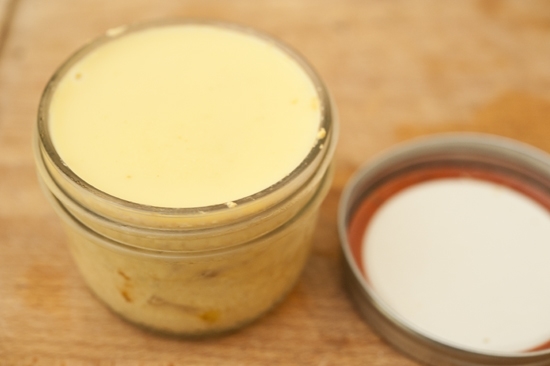 if you use ghee how long will it last in the refrigerator? Quite a while… I’d say 1 month at least. 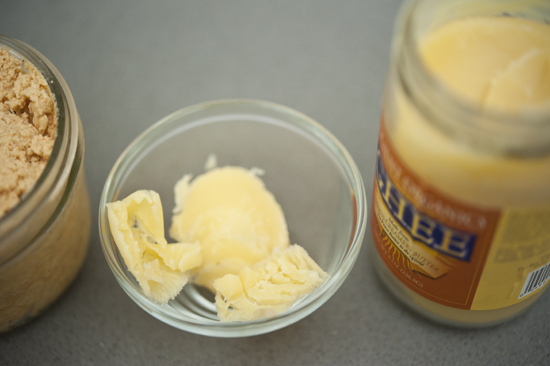 Do you scrape off the ghee before spreading or mix in? ?